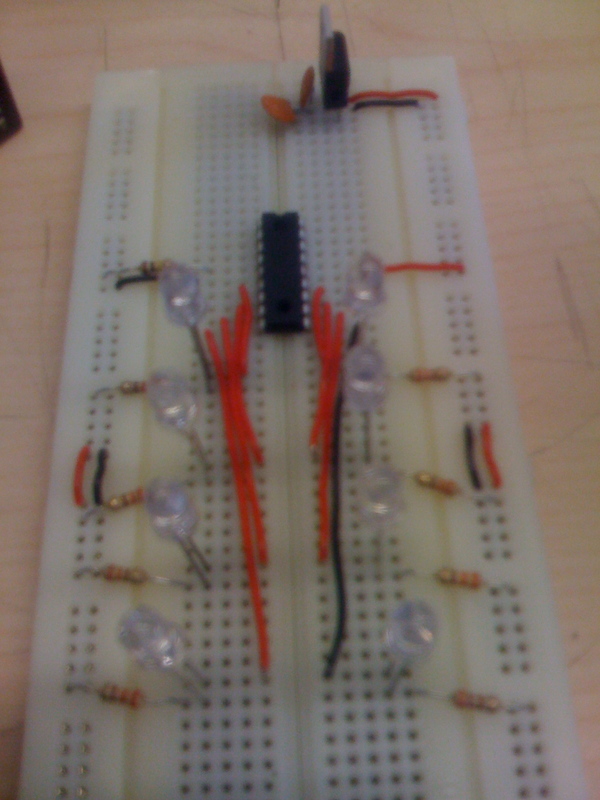 The first 3 pictures are a code lock using LED’s built in class. 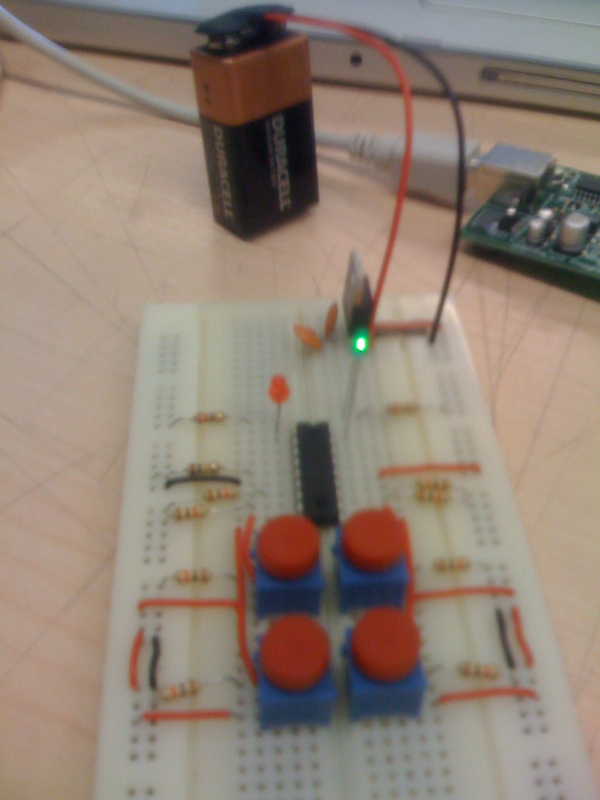 When the right code is entered using the buttons the green LED lights up and you can reprogram the code. If the wrong code is entered the red LED lights up. 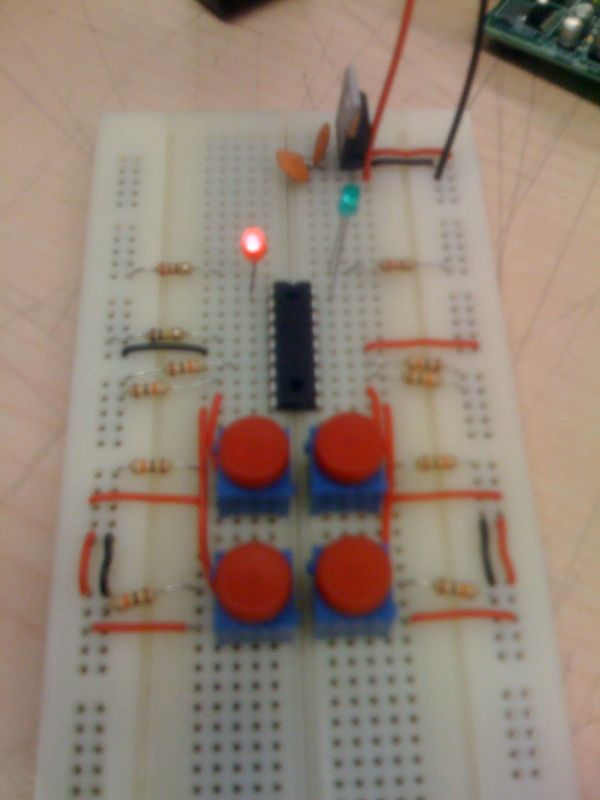 I built the circuit and it uses the program written by our instructor Joel Murphy. 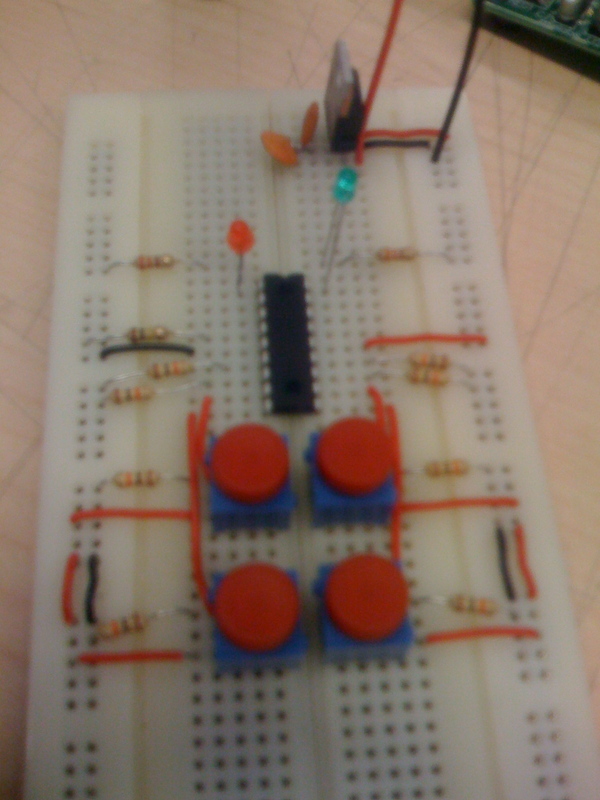 The last 2 pictures are of a blinking LED which I built and programmed for homework. 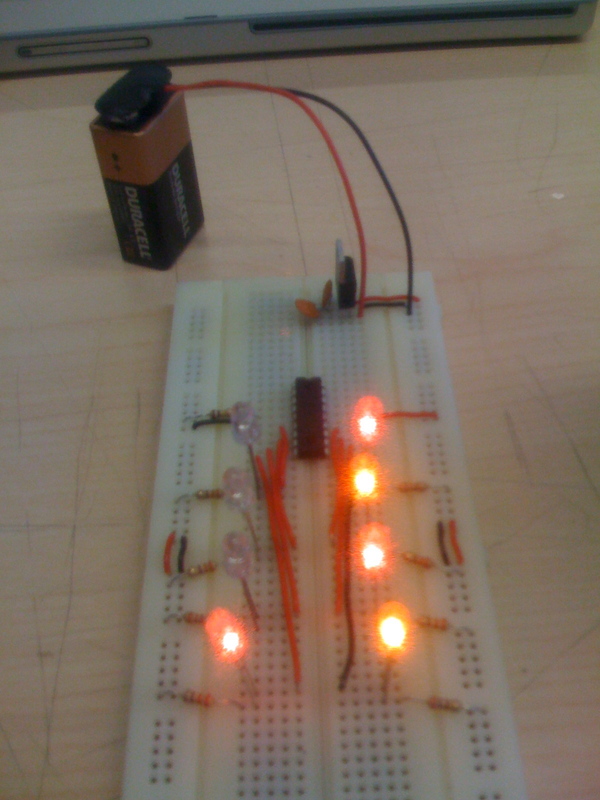 Here’s a video of the blinking LED sequence.